Sarah is an experienced administrator in the arts and educational sectors. She moved to Ireland from Canada to study Drama and English at Trinity College Dublin. She also has an MA from King’s College London in Shakespeare Studies. Sarah has worked with the Lambert Puppet Theatre, the Gate Theatre (Dublin), Globe Education at Shakespeare’s Globe , the Edinburgh International Festival, the Traverse Theatre (Edinburgh), the Toronto International Film Festival, the Art Gallery of Ontario and the Dublin Theatre Festival. 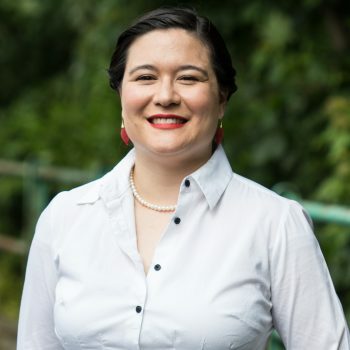 Previous to joining the DYT Team, Sarah worked in operations at the largest English language school in Dublin, the Emerald Cultural Institute. She is delighted to combine working with young people and theatre in her role as General Manager at the Dublin Youth Theatre. Dave facilitates regular workshop in DYT including the first ten workshops with the new members every year. He is also the National Training Co-ordinator for Youth Theatre Ireland. He led the development and delivery of Artstrain, Youth Theatre Ireland's full-time Drama Facilitation course for 16 years. Dave has worked as an assistant director on four National Youth Theatre Productions. He was the Associate director on the Children’s European Youth Theatre encounter in Cork in 2005. He is the author of Laying the Foundations – a workshop resource manual for youth theatre. 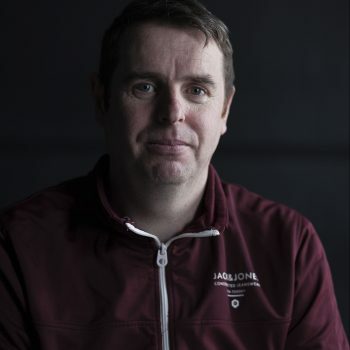 Dave has worked as a drama facilitator for over 25 years working with many Irish theatre companies including Calipo, Graffiti, Upstate and TEAM as well as the Abbey Theatre’s Outreach and Education Department and on the Civic Theatre’s Tenderfoot programme. He has developed film based projects with young people for Calipo Picture and Theatre Company on the Sharp Focus Film Project, The Dublin City Arts office & CDYSB Film First Project:, The Dublin City Connects programme writing the Short Film ‘FLIP” and as a facilitator on the REEL Youth Film Project. International work includes work with the Liege Comtoise d' Improvisation (Besancon France), the 8th Children's European Youth Theatre Encounter (Hanover, Germany) and Youth for Europe International Exchange (Moscow, Russia). He has a diploma in Arts, Drama and Theatre Studies from N.U.I Maynooth as well as a QQI Level 6 certificate in Train the Trainer.